The best way to get the most of a probiotic is stocking your fridge (and specifically your fridge) with fermented food products and then agreeing to eat (or drink) something fizzy as a side dish for every meal throughout the day. Some of us, however, would rather pass on the bubbly veggies and get our probiotics the easy way- a tiny, tasteless supplement. Maybe not so tiny. 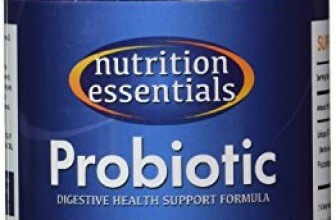 The issue with probiotics is that they are a hot item. While the Middle East and Asia have been consuming probiotics practically since the dawn of time, the countless benefits of ingesting tiny bacteria is just now starting to hit the West in the way everything hits the West- an all-consuming trend. 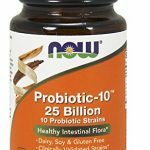 With this newfound popularity, probiotics are an item of discussion and the topic mainly buzzes around… “which one’s the best?”. There are certain factors that make one probiotic better than others, but we wouldn’t go so far as to proclaim one the Supreme Best Choice. 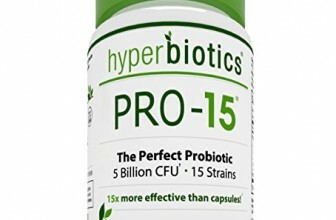 Therefore, we’ll review some of the most popular probiotic supplements, break them down by ranking criteria, and give you our honest opinion. Each review will be assigned a performance rating based on factors such as culture count, number of strains, release time, and potency. Below, you can look at what we are using as ranking criteria as well as why we think each of these is important in determining the quality of a good probiotic. Culture count is the total amount of live bacteria found in one serving of probiotics. It is essential to find a probiotic supplement with at least 15 billion cultures; this will ensure a positive impact on your health. Also, since probiotics are live and must survive the journey to your gut, the higher the culture count, the better. Since our gut hosts over a thousand different strains of bacteria naturally, finding a probiotic supplement with strain variety ensures a probiotic environment that most closely mimics our own- or at least close to what our own should look like. When it comes to the type of strains, there is a simple way to remember what’s good for you: Strains whose names start with “B” are good for your “big” intestine and strains whose names start with an “L” are good for your “little” intestine. Finding a supplement with a variety of L and B strains is a good way of landing on a supplement with the most diverse cultures and hence, most effective probiotics. Make sure that you are buying a capsule with delayed-rupture technology. Probiotics must not only survive manufacturing, packaging, and shipping, but also the harsh environment of your stomach. A dead probiotic is a useless probiotic. Delayed-release capsules are designed to start breaking down when they hit the intestines and continue doing so until they reach the colon. These are the areas where probiotics are needed the most. Potency at the time of expiration, not manufacture. Sure, any company can make a probiotic supplement chock-full of squiggling, squirming, very much alive probiotics, but the problem is keeping them alive. 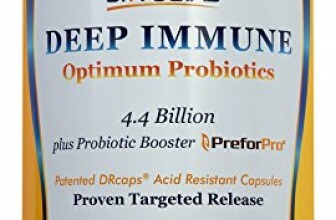 Probiotic companies are notorious for publishing label information from manufacturing data, but a genuine product will reference the potency of the supplement all the way through the expiration date. * Keep in mind that since regulation requirements for probiotics are still a work in progress, certain supplements may not be certified by a third party.